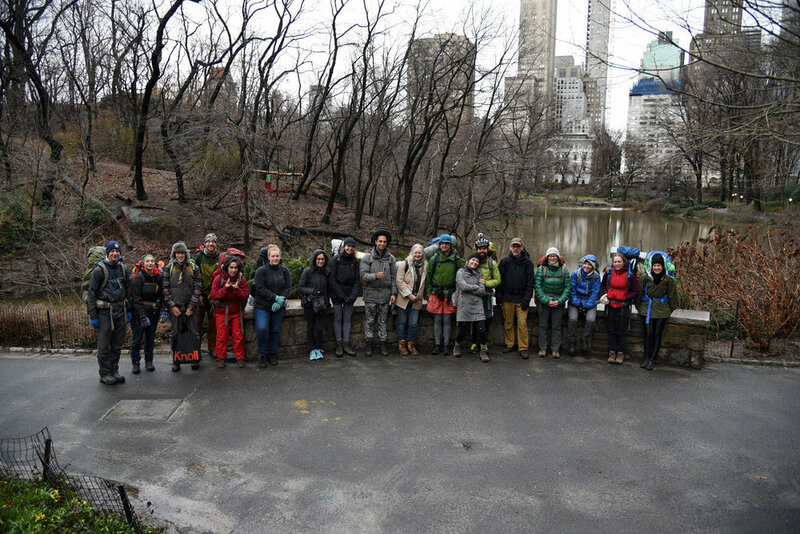 An annual walking project that illustrates a connection between New York City and the wild. It was originally performed to commemorate the spirit of "Hal", a coyote who appeared in Central Park in 2006 and died shortly after being captured and re-released in the forest. The walk begins in the city and remains within sight of a coyote-like path for three days before ending in a relatively wild area. 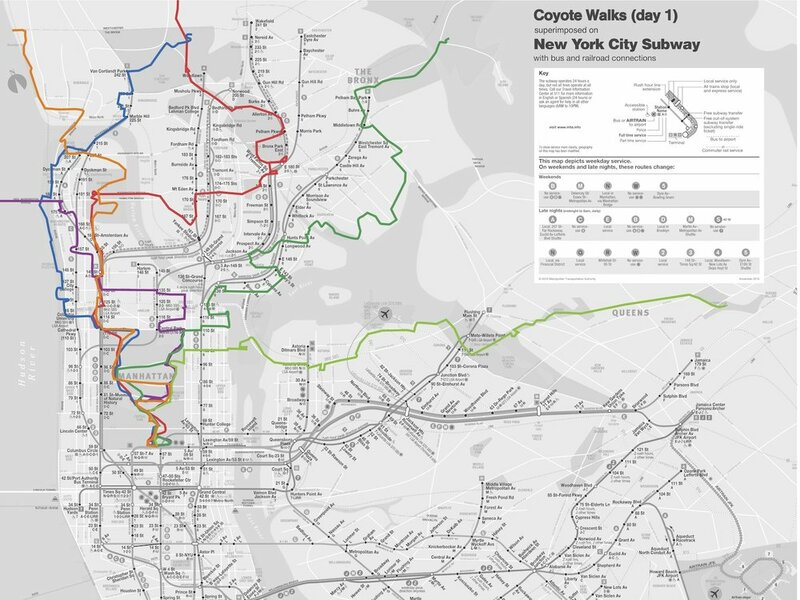 The Coyote Walk has run as an itinerancy, or walking residency since 2014. Some KMZ files for google earth can be downloaded here. Gotham Coyote Project, Chance Ecologies, College of Mt. St. Vincent. Unpacking (after) a coyote walk. Walking Lab residency, 2017. Link. Connective filaments, coyote walks on the map. Living Maps Review No. 2, 2017.